We hope you enjoyed Part One of our College Building anthology. Let’s take a look at Part Two! 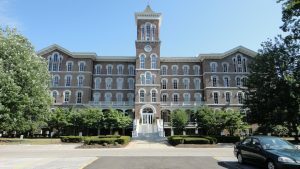 Ohio’s Beautiful College Campus Buildings – A Photo Anthology to Music – Enjoy Part 1! 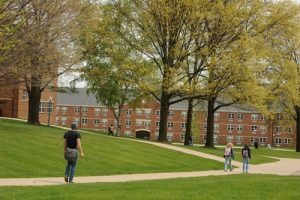 Baldwin Wallace University is one of our favorites among Ohio’s private Universities and it doesn’t hurt that they are the home to one of Ohio’s five Conservatories of Music. 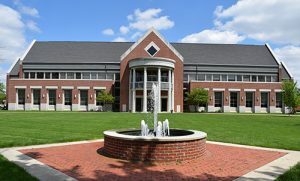 The Conservatory is composed of three buildings connected by the Boesel Musical Arts Center. They are known for their Music Theatre program, “All Steinway” status, and their role as host of the oldest collegiate Bach festival in the U.S., among other things. 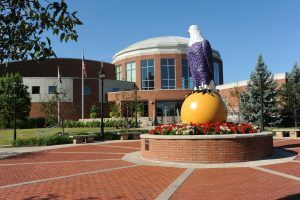 BWU’s Conservatory offers a wide range of performance majors as well as Music Composition, Music Education, Music History, Music Theatre, Music Theory, and Music Therapy. If you are visiting conservatories in Ohio, don’t miss this one! 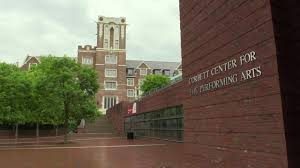 Ranked nationally for both undergraduate and graduate music programs, the University of Cincinnati’s College-Conservatory of Music (CCM) is housed in Memorial Hall, a stateley gothic structure divided into studio, classroom, and performing space. 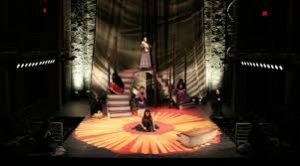 Formed in 1867, CCM is the only public university Conservatory in the state and, as a result, offers a much broader set of offerings including programs in Electronic Media; Ensembles and Conducting; Keyboard Studies; Theatre Arts; Production and Arts Administration; Performance; Composition; Musicology; and Music Theory. CCM boasts an impressive roster of over 150 internationally known faculty who work with students hailing from all over the world. They are also an “All Steinway” school with 165 new Steinway pianos. Rumor has it that CCM’S order of 165 Steinways was the largest single order in Steinway’s history. Now that’s something to sing about! 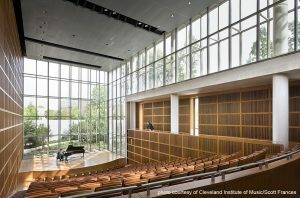 The Cleveland Institute of Music (CIM), another of Ohio’s “All Steinway” conservatories is located in University Circle, the heart of culture and education near downtown Cleveland. The home of the Cleveland Orchestra, Severance Hall is located only blocks from campus. CIM is small and selective, admitting only 30% of applicants, but boasts an excellent reputation across the board. They are particularly well known for music performance in strings and woodwinds and over half of CIM’s faculty are past or current members of the world-class Cleveland Orchestra. 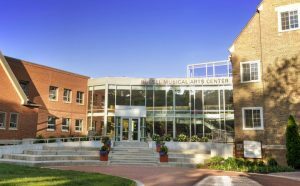 Specializing in undergraduate education and recognized nationally as a top 20 (top 10 in some ratings) conservatory of music, CIM has a lot to offer. The Oberlin Conservatory of Music is the oldest Conservatory of Music in the United States. It was founded in 1833 and is affiliated with Oberlin College. Oberlin’s Conservatory is typically ranked as one of the top Conservatories in the country and is particularly well known for its programs in contemporary and baroque music as well as its unique Technology in Music and Related Arts Program (TIMARA). 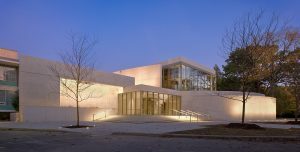 Oberlin’s conservatory has an enrollment of around 600 and admission is very competitive. Considered an “All Steinway” conservatory, Oberlin is the proud owner of 233 Steinway pianos. 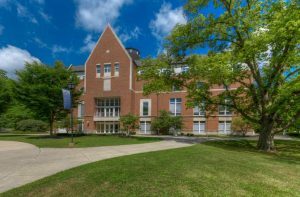 Some Conservatory students double major in music with another major offered at Oberlin College – time to completion is five years for most students. 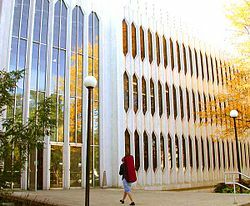 Architecturally unique, Bibbins Hall, the home of the Conservatory, was designed by Minoru Yamasaki who also designed the prior World Trade Center buildings. Bibbins houses 40 studios and 10 classrooms. We hope you enjoyed strolling through just a few of Ohio’s unique college majors. 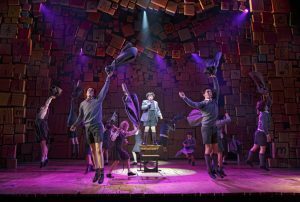 In a similar vein, let’s set up camp and take a look at Ohio’s Conservatories of Music. 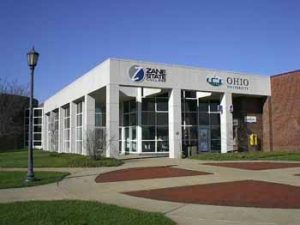 Consider that there are only 53 public and private conservatories in the United States and Ohio has five of them, including a few that are among the best in the land. 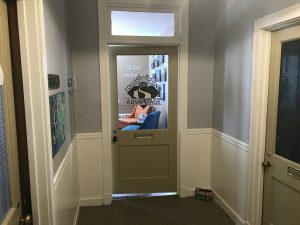 A college “Conservatory of Music” is dedicated to training students who have a passion for music and plan for music to be central to their professional life. 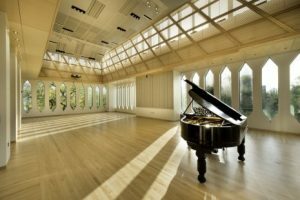 In choosing a conservatory, students look for a college with a strong reputation in training musicians in their chosen instrument or area of interest for a professional career. Conservatory students have opportunities to perform, conduct, or have their music played by others. This may be solo or as part of an ensemble, band, or orchestra. Some conservatories exclusively focus on music while others may expand to include musical drama and/or dance. Most conservatories focus on Western classical music and a broad range of related instruments, but some include jazz, world music, or pop music. Alternatively, “university music departments” have historically placed more emphasis on the academic study of music instead of performance and their graduates are less likely to pursue professional careers in music. However, this varies from institution to institution with performance being emphasized more than in the past. So enough talk, let’ take a look at these Ohio jewels.